This colt is out of a young Anabaa mare from a quality european stakes winning family. Standing over plenty of ground he looks like he will definately run on as a 3/4yo just like his sire Lope De Vega. A colt that moves well and has plenty of scope. 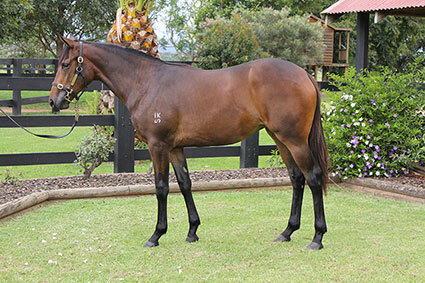 A quality colt by Bel Esprit. This is the first foal of winning Beat Hollow mare who is a half sister to Group 1 winner VICTORY NOTE. 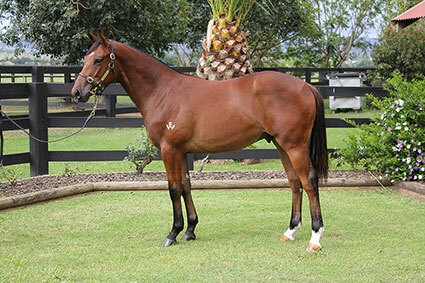 This colt stands over ground, is a great mover and oozes quality. This colt will run. He ticks all the boxes. 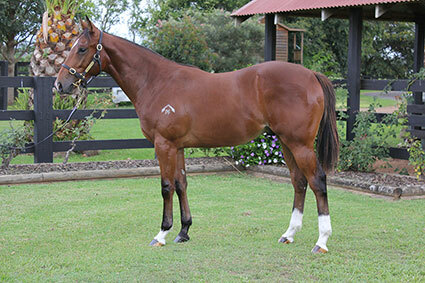 This colt is a lovely mover and very well balanced. This is the second foal of stakes placed city winning 2yo in Dancescape. Dancescape is a half sister to 2yo stakes winners BLUR and SHREWD RHYTHM. A typical Casino Prince filly. She has plenty of quality and hails from the ever popular and successful Pedrille family. The exciting young stallion I Am Invincible also appears close up in the pedigree. 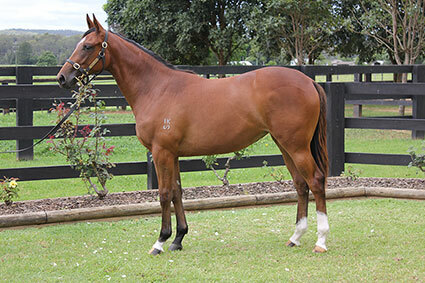 This filly should appeal to many buyers looking for a early running 2 yo with a pedigree to match. This filly is an early 2yo type. She has a powerful hindquarter and looks like a jump and run 2yo. Her 2yo full brother Good Prince is already stakes placed this season in the Debutante Stakes in the Melbourne Spring Carnival. She comes from one of the best pedigrees in the studbook and this filly might turn into diamonds. A filly that oozes quality. This is the first foal of a winning half sister to Group 1 winner UPSETTHYM (Auckland Cup Gr1) and Gr2 Adelaide Cup winner CAPECOVER. 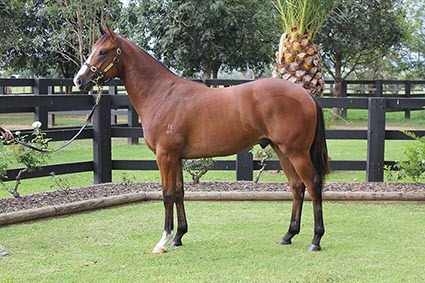 This pedigree is full of blacktype and has the speed of Fastnet Rock on the sire side with the classic stamina on the dam side that has worked so well in the past. A colt with presence and class. 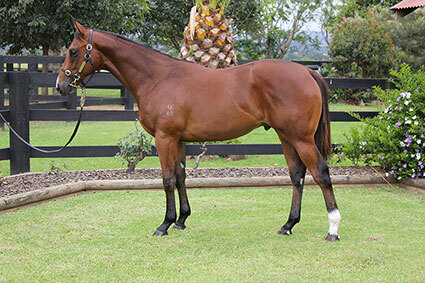 He is typical of all quality Fastnet Rock colts that run as 2yo’s. This colt has a lovely walk with great balance. This colt looks like a jump and run type. He is the first foal of a dam who is a half sister to multiple stakes winners. 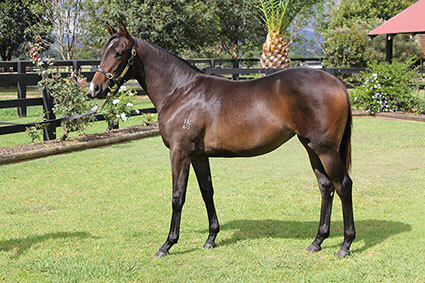 The pedigree page has plenty of 2yo stakes winners and this colt has every chance of adding to the bold print. This colt will run. The perfect horse for those looking for a early 2yo type. He is by hot young stallion I Am Invincible out of young city winning Danehill Dancer mare Senro Kisaki. 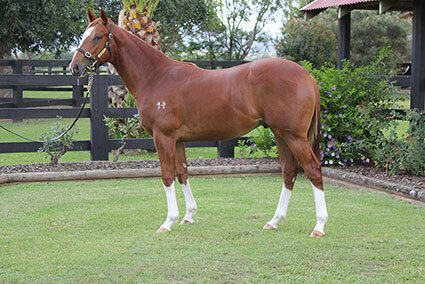 This colt is correct and has plenty of strength throughout. This filly is a strong powerful type. The dam In A Tiz is already produced multiple city winner Triple Fortune and the fullsister to In A Tiz , KATANA has produced the recent Hollywood Park Gr2 winner BROKEN SWORD. 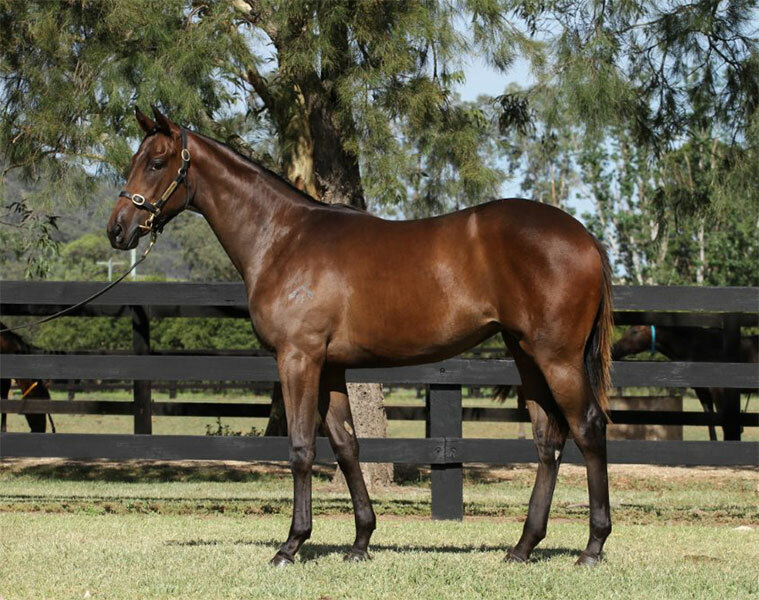 This pedigree continues to grow and this yearling filly has plenty of upside both on the racetrack and in the breeding barn.